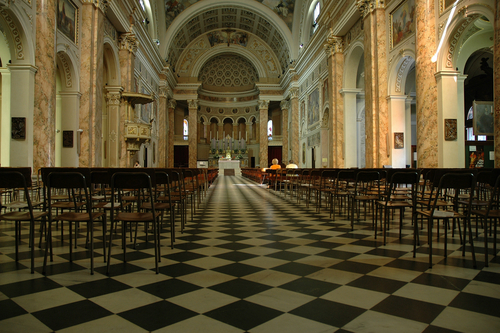 Floorings Singapore: How To Choose The Right Flooring For Church? 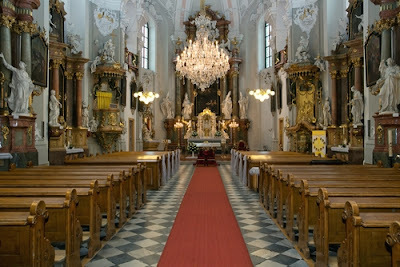 In churches, a lot of people come and thus it is a high traffic area. So, whatever material you choose for your floor it has to be durable and long lasting. You cannot rely on a delicate floor material when it comes to churches as everyday there are number of people coming here. So, you have to make sure that the floor material you choose is durable and strong enough to bear all the traffic. Otherwise you will find soon the floor is wearing away. You need to do a lot of researches regarding which material will be the best to be used as the floor of your church. Since the weather of Singapore is hot and humid, you have to keep in that the flooring is capable enough to resist against it. The best material which is reliable enough against the hot and moist weather is the best. Mainly stone and marble are the best in this case. Wooden floors can have various problems in the humid weather. The woods react badly when it comes to constant moisture or humidity. So, it is best to ask the expert which will be best for this kind of weather. Each and every material comes with a certain drawback and some advantages. Before you choose and decide a particular material for the flood of church you have to know all the advantages and disadvantages. This will help you to know and decide which material is going to be the best one as the floor. Whether it is renovation or a new construction, floor is the main the area which goes through a lot of rough use. So, a special care and attention has to be provided to them in order to ensure better longevity. Internet has of course provided a lot of options for us and thus it is easier for you to study about the pros and cons of all the materials. When you are deciding the right floor material you also have to keep the style and colour in mind. Not all style suits the environment of church. You have to make sure that the aesthetic value of the church is maintained whatsoever the style and colour your choose for the material. 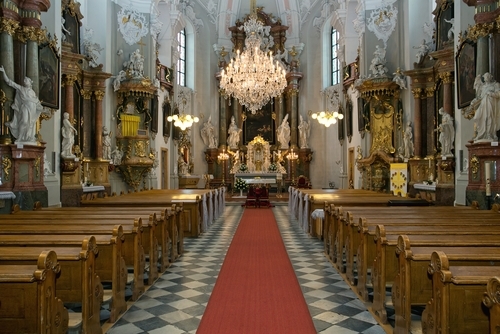 Even you can choose different style based on the interior decors of the church. It has to be complementary to each other. Otherwise it will look very odd if it does not match with the decor. So, browse through the designs and styles and get the best one you want. It is very much important to know what your budget is. Now you have to choose the material based on the above factors and then consider your budget as well. It is better to be within the budget fixed and not to exceed. There are numerous flooring services available in Singapore but there are few who offer the best services even at an affordable rate and provide best quality materials to the people. You have to make sure that you do enough researches to find out such a service and get your floor installed at the church. But you also have to understand that you cannot compromise with the quality just for the budget. Reliability: It is very important to know that the company you are calling for its service is reliable. If not reliable then you cannot get the right service. So, check all the reviews and feedbacks of the company and know how great it is. Experience: This is another important thing to consider as these types of works require huge experiences. If the service does not have proper experience in it then it is not possible for one to do flooring jobs. Affordable: Since you have a budget, you also have to make sure that you choose a service which is affordable to you and fits into your budget. Otherwise you have to pay a lot. Options: There are many services that provide with various options. You have to choose the best company or service that provides you with a lot of options to choose from the floor materials. Also, check whether or not they have skilled labourers to install the floor. Thus these are some of the important and essential points that you have to know and keep in mind. 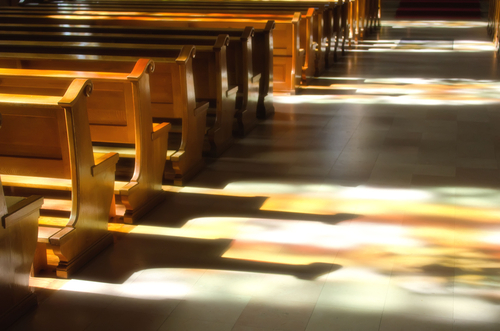 You need to understand that many services offer many types of materials but you need to choose the one which is best for Church floors. As mentioned above, you have to make sure that the material is durable and strong enough to resist against the humid weather as well also good enough for so much traffic. The best thing that you have to understand is that you cannot go for wooden floors. Even if you do then you also have to consider lamination and this may cost you a lot. Since this place is used by many people daily so a material which is easy to maintain will be really great. Thus the best one that you can consider is either stone or marbles as the flooring. It is durable as well as great for the humid weather. You do not have to spend a lot of time and money as well for maintaining it daily.